World leg-spinner Shane Warne announced his all-time IPL XI team on Saturday. Warne has handed over the command of this team to Mahendra Singh Dhoni, one of India's most successful captains. Warne announced the team on his Facebook wall. 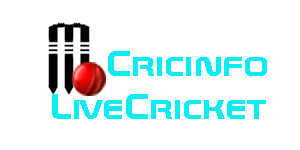 This is the 10th edition of the Indian Premier League (IPL). 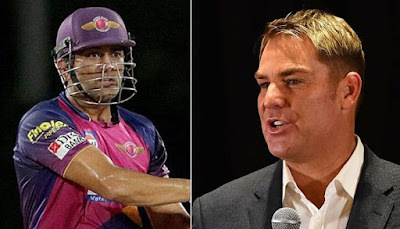 Warne has also captained Rajasthan Royals in IPL. In his captaincy, Rajasthan won the first edition of the IPL in 2008. Warne won the first IPL by defeating Dhoni's IPL team Chennai SuperKings. Dhoni is also the most successful captain of IPL history. His captaincy, Chennai twice won the title of IPL in 2010 and 2011 and was runners-up four times. Apart from Dhoni, this team includes Royal Challengers Bangalore captain Virat Kohli, Chris Gayle, Mumbai Indians captain Rohit Sharma, Harbhajan Singh, Lasith Malinga, Kolkata Knight Riders' coach Jacques Kallis, Umesh Yadav, Gujarat lain's Brendon McCullum, Ravindra Jadeja, Yuvraj Singh of Sunrise Hyderabad included. From the previous two editions, Chennai and Rajasthan teams have not been playing in the IPL. Dhoni is currently playing for Rising Pune SuperJayt. He was also the captain of Pune in the earlier edition. Due to bad form in the last few games, everyone is criticizing him because of his bad form. Warne, who was a victim of critics, also defended Dhoni. Warne, however, did not pick Suresh Raina in his IPL team, Raina is one of the most successful IPL batsmen in the team.